Juha has a MSc. in civil engineering and works as Project Engineer at Consulting Traffic Engineers A-Tie Oy Ltd in Tampere, the biggest inland city in Scandinavia. 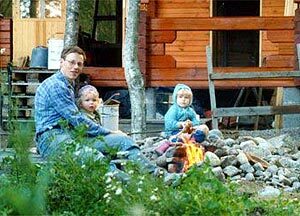 Juha and his family live in suburban Pirkkala, only 7 kilometers from downtown Tampere, but beside large hilly forest areas. Juha has been DXing since 1979. For the first 10 years his "radioactivity" was high and focused on Latin America. In the 90's work and family life replaced the weekly band scanning. Juha continued to participate in DXpeditions, to Lapland (6 different locations tested) and especially to Uusikaupunki on the West coast, catching mainly UK stations on MW. In his QSL collection you can find verifications from some 170 countries and 860 stations.